Toshiba Laptop Repair Montreal - Laptop Screen Repair Montreal - Montreal Laptop Repair. Schedule A Visit With A Computer Repair Expert Today! Montreal Laptop Repair can refer to both physical maintenance and OS level maintenance for laptop repair. Physical maintenance includes such items as keeping the outside of your case clean, ensuring proper laptop heating computer fan operation for cooling, and keeping the inside of your case dust and debris free. It can also refer to keeping your system running smoothly by keeping your registry clean and up to date, keeping programs and software up to date, and ensuring your system is operating at top efficiency. Unfortunately, this is one area many Lenovo Laptop users in Montreal or Dell PC owners fall in when it comes to the health of fixing their systems. Unattended items such as dust and dirt build-up on the interior of your Laptop and computer case can lead to catastrophic hardware failure due to excess heat. When the unattended items involve the OS and software installed on your PC, the result can be a poorly functioning system with sub par performance and aggravating annoyances. Luckily for those Montreal Dell Laptop or PC owners who either don't have time to clean their LenovoLaptops for example or find a computer repair in montreal to maintain their system , or who don't have the proper knowledge to deal with regular routine maintenance, Montreal PC Support Service Center Montreal is here tohelp repair Laptops and computers. Montreal PC Support can clean your system, ensure all hardware is properly running and handle all other HP laptop maintenance related tasks to ensure you system, such as a Sony Vaio, is operating at peak efficiency. Montreal PC Support regularly runs specials on computers and Acer Laptops maintenance, call ?514-621-5181 to take advantage of our current deals. We provide customers with a low cost for all Laptop brands in Montreal, for instance: Toshiba Laptops, Dell Laptops, HP Laptops, Compaq PC, Asus Laptops, Lenovo IBM Laptops Workstations, Sony Vaio Laptops and Samsung Laptops . Fast and reliable residential and business PC or laptop fixes in Montreal. We are a local Service Center with on-site service for businesses and in-house for residential users across montreal and its suburbs. 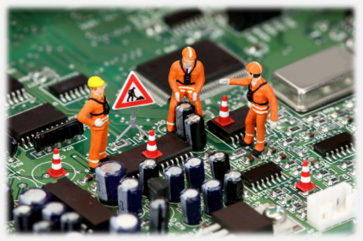 We repair all sorts of issues, hardware or software problems. Our turn-arourd for computer or Laptop repair in the Montreal Downtown area or surrounding suburbs is 24 to 48 hours in most computer repair cases. If a hardware part needs to be replaced, the chances are longer. However, if your computer repair requires a part that we do not have, we will order it for you from one of our certified suppliers. Is there something wrong with your Laptop Screen Repair in Montreal? MontrealPCSupport.com offers prompt and reliable Laptop LCD Screen Repair and/or Replacement for all laptops such as ACER, DELL, HP, COMPAQ, IBM, SONY, FUJITSU, TOSHIBA, GATEWAY, at our Service Center Montreal. The LCD backlight is the source of light that allows you to view your screen more clearly. HP, Toshiba, Acer, Laptop Fan replacements and heating repair, Montreal or suburbs! SeoTarget Directory Directory Seo Supreme Largest Web Directory. Add site add website free submit url free Free Directories Free Directory Submission Linkroo - A better place for Backlinks | SEO Directory Link Add, add your link to a SEO friendly directory Welcome to SvirskiWebs!